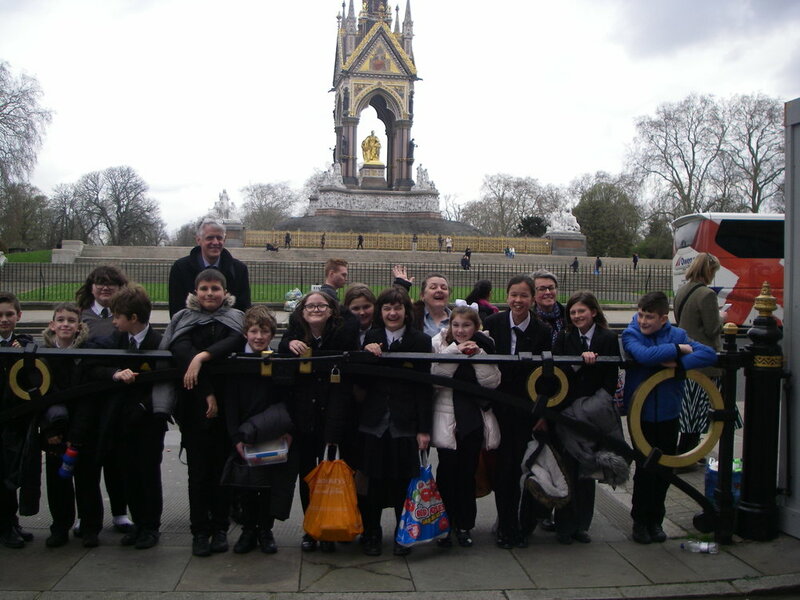 On Tuesday March 19th students from the Middle and Secondary departments travelled up to the Royal Albert Hall to sing for the Prom Praise for Schools event based on the theme of Exodus. 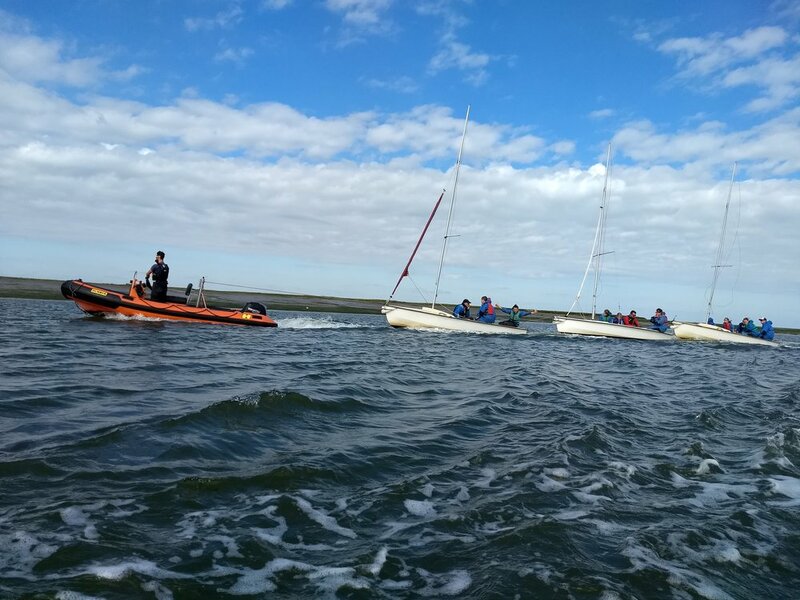 The students sang the songs they had rehearsed at school accompanied by a live orchestra and they were treated to hearing the orchestra perform well known classical pieces, as well as seeing performances from dancers, actors, dinghies, crocodiles and confetti canons! The students sang their hearts out and despite a late finish they all managed to stay awake for the journey home. I would like to thank both the students and the staff who made this an enjoyable and successful trip. 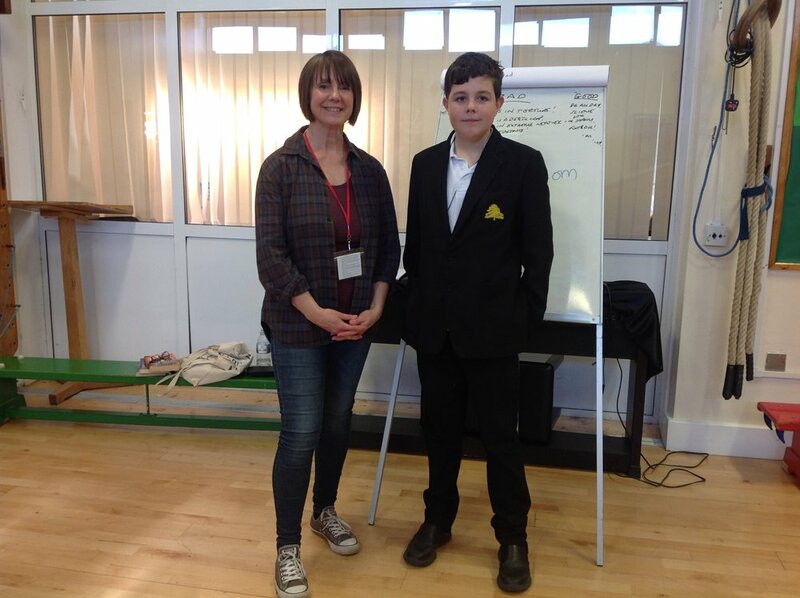 JD Irwin author of The Edwin Spencer Series came in to take workshops for groups across the school. She read the pupils an excerpt from one of her books and then got the pupils to invent their own parallel worlds - a great school and a terrible school. The children came up with some brilliant ideas - Ethan suggested a school should be in Space and the author said that she might use his idea as it was such an interesting suggestion. 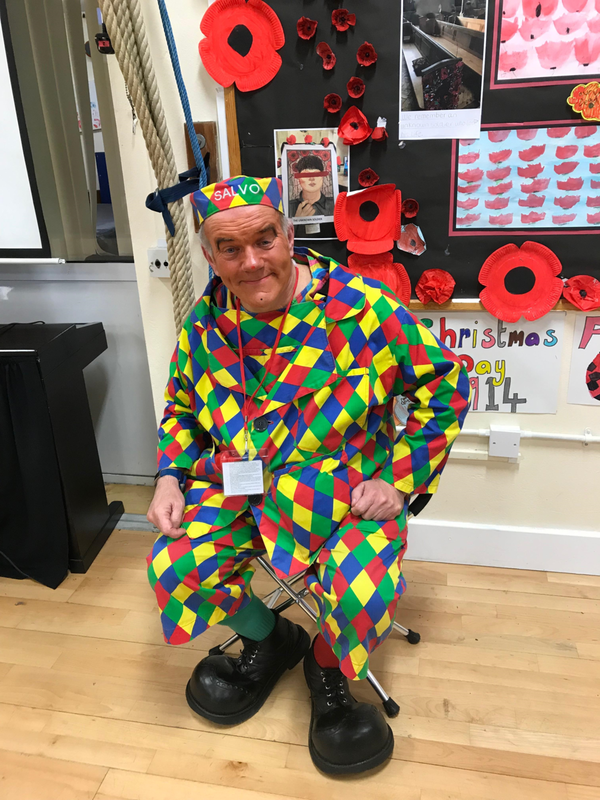 During a recent assembly we were pleased to welcome a special visitor to the school…….Salvo the clown. Salvo came to share his story with us and to demonstrate his amazing balloon modelling skills. Salvo has supported Cedar Hall school for many years now and we would like to take this opportunity to thank him for all he has done for us. On Wednesday 19th December we held our end of term Christmas assembly. Parents and carers were invited to help the pupils celebrate lots of achievements over the last term. A selection of pupils also did some readings based on the Christmas festival and the school choir sang various songs. 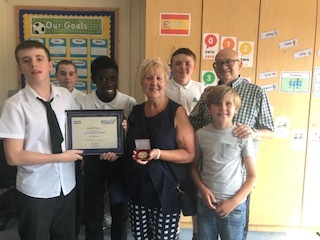 We awarded the new winners of the Jack Petchey award (see below) and also the past years winners of the award were invited back to receive their medallions. On Tuesday 11th December Outloud Productions visited the school to treat us with a performance of Jack and the Beanstalk. The whole school watched in the hall and had great fun singing and taking part wherever they could! On Saturday 1st December we held our Christmas Bazaar at the school. 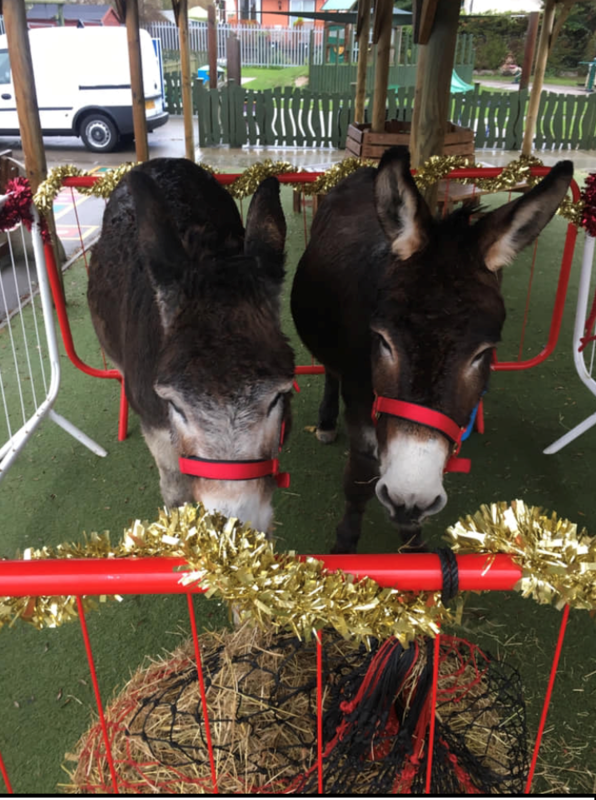 There were over 20 stalls, face painting, Santa’s Grotto, a grand prize draw and even real life Donkeys to pet! We also held our Christmas shop on Wednesday 5th December for pupils and their families to visit. A selection of great gifts were on sale along with some delicious cakes. We are extremely grateful to everyone who came to support us at both of these events and we will be announcing the fantastic amount we raised very soon! A huge thank you too goes out to the PSFA for organising both of these. Every year Cedar Hall supports the wonderful organisation, Samaritan’s Purse. This is an international relief and development organisation that works through local churches to proclaim and demonstrate the love of God amongst communities in Africa, Eastern Europe and Central Asia. Operation Christmas Child is one of their initiatives, that thousands of churches, schools and businesses across the UK and Ireland become part of. The idea is to collect together various items to pack into a shoebox (this can be anything that a child may like to receive such as a small toy, pencils and even basic things such as a toothbrush or comb). Once packed the shoebox is delivered to a local drop off point ready to be shipped abroad. 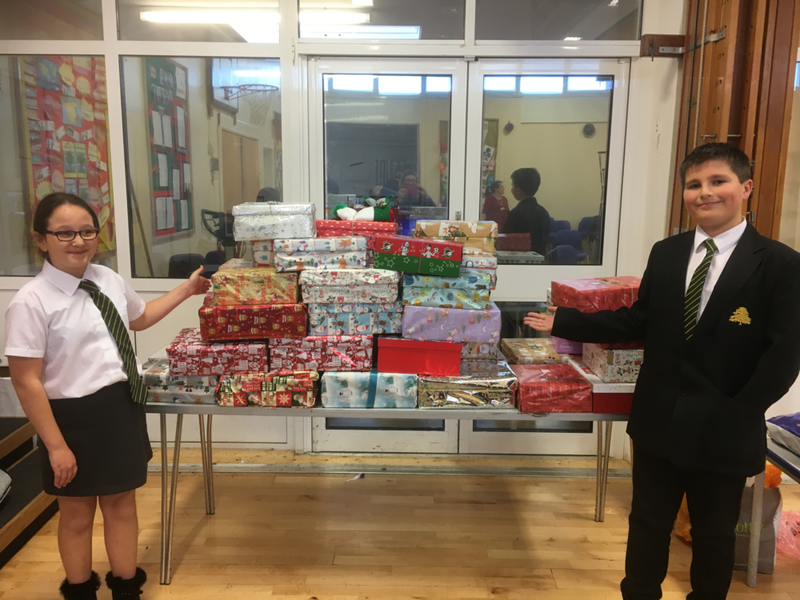 We were very proud of our collection of shoeboxes for this very worthy cause. 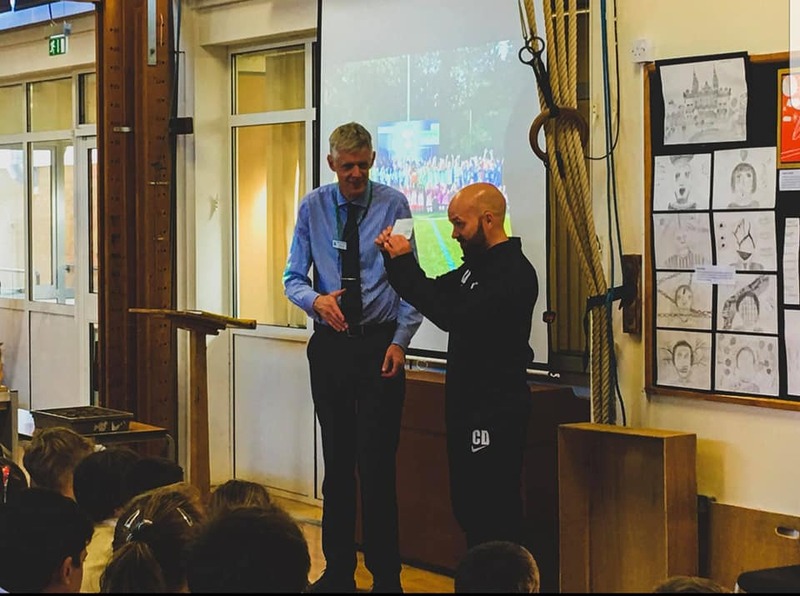 Craig Durussel who is the head coach from Grassroots Soccer Academy attended an assembly recently to present the school with a fundraising cheque. He informed us that this year the Community Shield Tournament had raised an outstanding £1,340.07. The shield winners were; U11 Bowers & Pitsea, U10 Hawkwell Athletic, U9 Hullbridge Sports and U8 South Woodham Ferrers. Cedar Hall would like to say a huge thank you to Craig and everyone else who made this possible. The donation will go towards enhancing the pupils’ lives and will go towards covering the costs of horse riding for Middle school children. 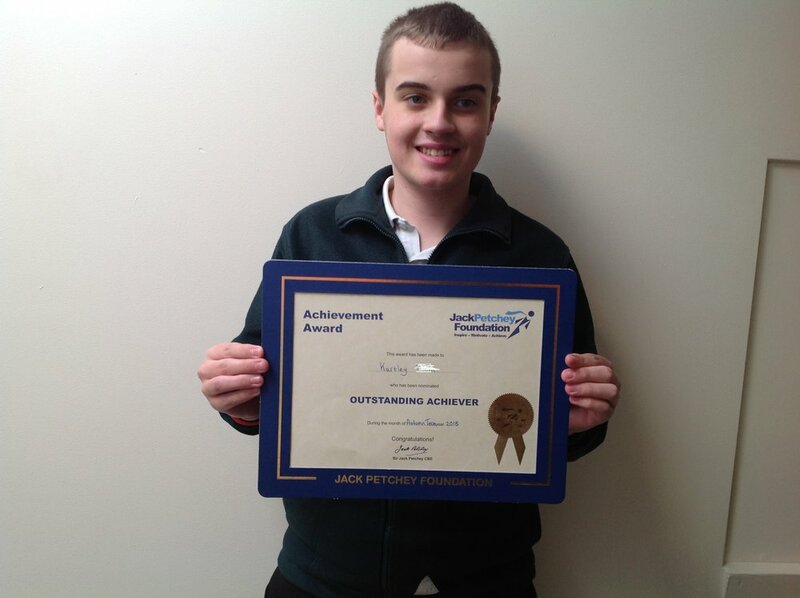 Every year we present the Jack Petchey Leader Award to a member of staff or volunteer at the school who has 'gone that extra mile' to support the pupils at our school. This year we were pleased to announce the winner..........Margaret Bowden. Mr Maxwell presented Margaret with the award to recognise the many years of voluntary work she has done at Cedar Hall. Margaret joined GB for a class celebration in which she was given a framed certificate and a medallion. A huge thank you goes out to her for all of the support she has provided to pupils and staff at the school. The two winners for the Autumn Term were announced at our end of term Christmas assembly. The first winner was Kurtley who is now in his final year and will be sorely missed. Staff and pupils voted for Kurtley as goes out of his way to regularly be helpful around the school. He often collects the trophies for our Wednesday assembly and also puts out the chairs before school ready for another assembly on Tuesday’s. Kurtley has also worked extremely hard in his GCSE lessons this term. The second winner was Sarah who has been extremely supportive to another classmate this term. She always has a very positive attitude and is a fantastic role model to her peers. She also has a consistent excellent approach to her school work. A huge well done to both of these pupils who will now be deciding how to spend their £250 winnings around the school. 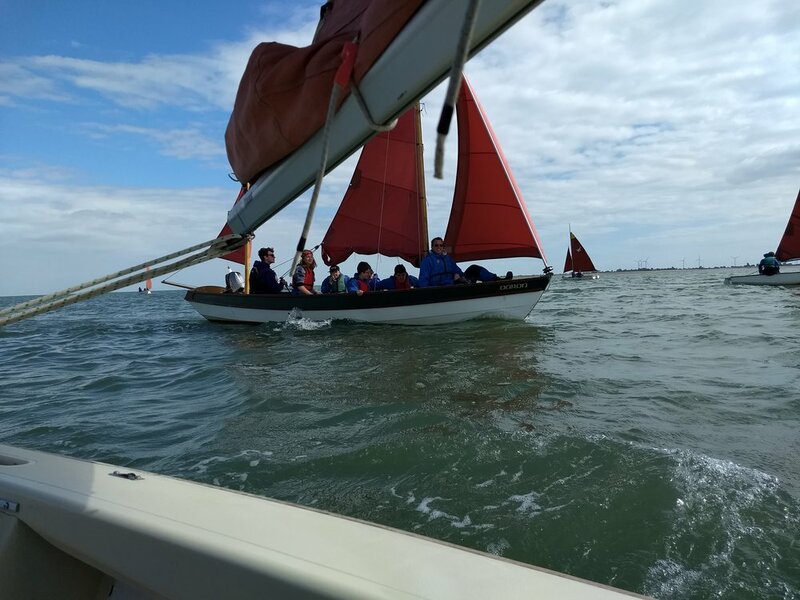 The annual residential trip to Fellowship Afloat took place again this year. Lots of pupils who had never been before attended and had lots of fun. 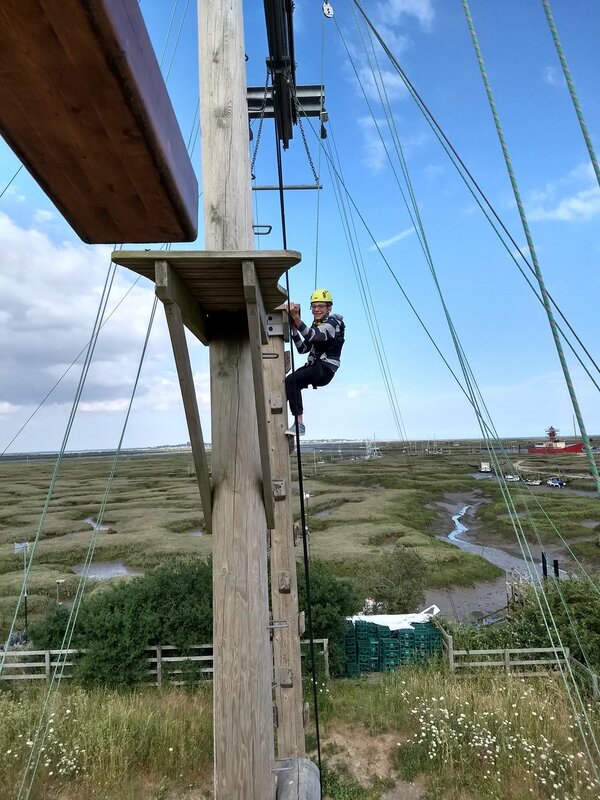 There were some great activities on offer such as, the high ropes, sailing, canoeing, crabbing, archery and even a visit to the zoo!